Attention teachers. 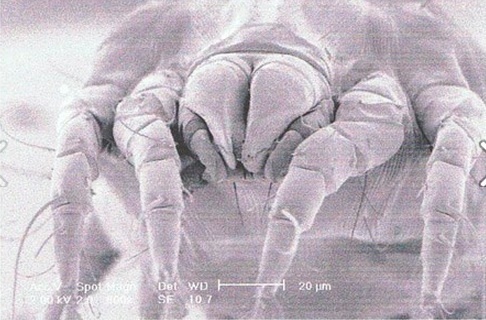 For students of all ages, below are the five steps that can be taken in the study of the house dust mite and why its ancient history, biology, and ecology can be the cause of allergic asthma, rhinitis and dermatitis. The depth of the study can be adjusted to reflect the age or requirement of each student or class. 'Manchester Asthma and Allergy Study: Low-allergen environment can be achieved and maintained during pregnancy and in early life', Custovic A et al, 2000, J. Clin. Immunol. 105, No.2, Part 1, pages 252 to 258.